SPRINGFIELD –Messages of budgetary stability and restored economic health are what State Senator Linda Holmes (D-Aurora) took away from Gov. JB Pritzker’s state budget speech this afternoon with his proposals for the upcoming state budget year, which covers July 1, 2019, through June 30, 2020. 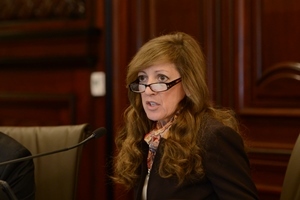 Holmes was encouraged to hear Pritzker acknowledge the state’s dire need for a capital plan, after ten years without timely action on necessary infrastructure maintenance, repairs and new construction. 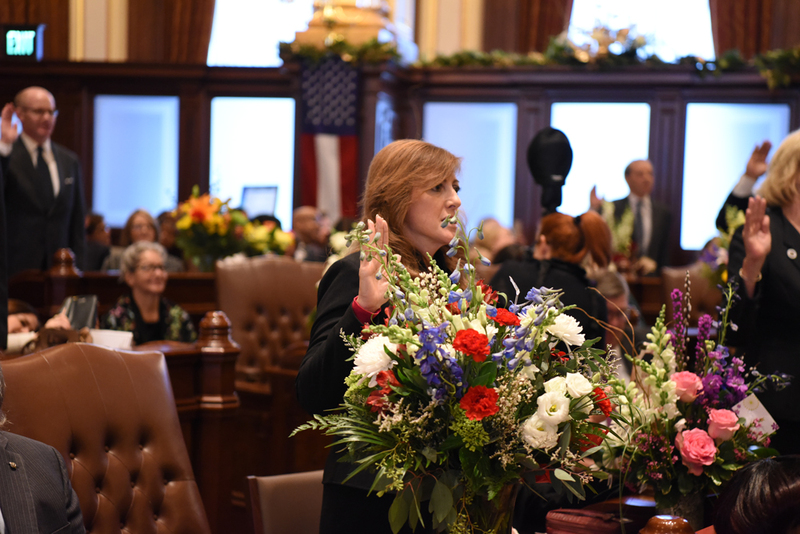 SPRINGFIELD – State Senator Linda Holmes (D-Aurora) was sworn into office on Wednesday as the Illinois Senate officially began a new session. Holmes has served in the Senate since 2007. SPRINGFIELD – State Senator Linda Holmes (D-Aurora) ensured a series of proposals will take effect to extend the same rights granted to firefighters to paramedics who are also employed by units of local government. The measures had been vetoed by the governor, but today Holmes successfully overrode those vetoes. SPRINGFIELD – State Senator Linda Holmes (D-Aurora) overrode a veto this week of a measure to address the election of trustees for the Fox Metro Water Reclamation District. Senate Bill 2830 requires the trustees be elected rather than appointed. The bill had been vetoed by the governor in August and Holmes successfully overrode that veto today in the Senate. The Water Reclamation District was created in the late 1920s and today serves nearly 300,000 residents in Aurora, North Aurora, Boulder Hill, Montgomery, Oswego, Sugar Grove and portions of Yorkville and Batavia, according to the Board’s website.